"Come and say hi to us and discover some of Queensland's hidden gems!" We aim to make your stay as comfortable, relaxing and enjoyable as possible. Please feel free to contact us at any time, whether it be a question regarding pricing, availability or location. Interested in staying longer? We have special packages available to cater for long stays - enquire now! 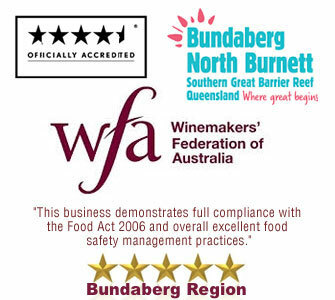 All our wines are produced here on site at the winery, from crushing through to fermenting, racking, filtering, aging, bottling, labeling ... this means we have total control over our product and know exactly what goes into it and, just as importantly, what does not! Mango Hill Cottages BnB is 4.5km south of Childers, on the highway. Left hand side coming from the North, right-hand side coming from the South. 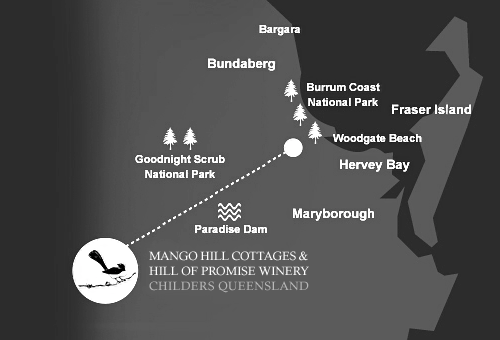 If coming from the North, head out from Childers as if you are going to Brisbane / Maryborough. You will pass 2 dams on the left-hand side. We are just past the second. You will come up a slight rise. There is a brown sign saying HILL OF PROMISE WINERY. That is us as well. Get ready to hand a left into Mango Hill Drive. 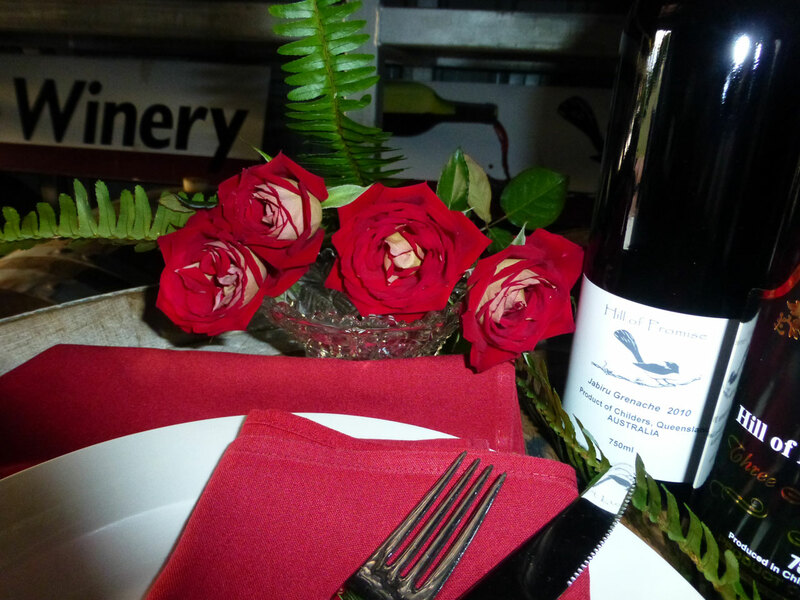 Come and see for yourself ... You will always be assured of a warm welcome! If making a special trip, we suggest you give us a quick call toll free 1800 81 60 20 to ensure we are open.